Chances are you don’t know a fouetté from a chaîné, but it’s likely that you’ve seen these classical ballet steps performed to the music of Pyotr Ilyich Tchaikovsky—and can recognize the tunes. The 19th-century composer helped make ballets like Swan Lake and The Nutcracker famous, writing scores that soared and forever linking his music to the world of dance. This weekend Eifman Ballet of St. Petersburg brings a program to the Music Center that both celebrates Tchaikovsky’s creative talent and explores his creative torment. 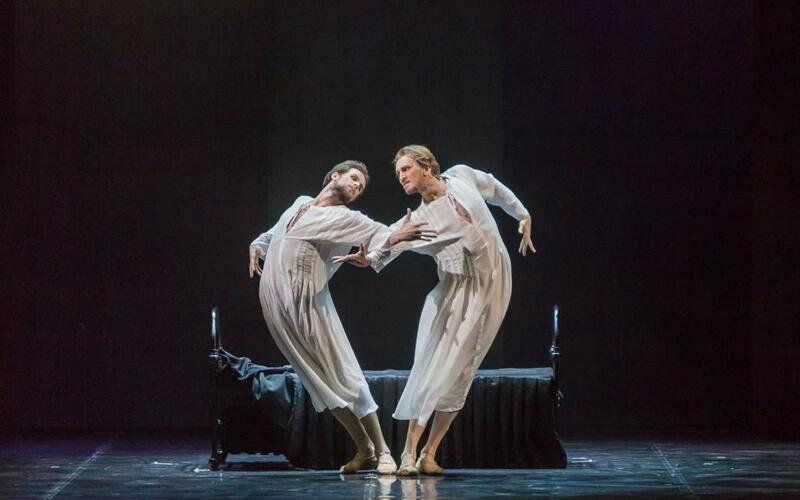 With eight soloists and 30 corps de ballet dancers, the narrative ballet Tchaikovsky shows us how conflicted and deeply troubled he was, despite having achieved fame and fortune. We interviewed artistic director Boris Eifman (his email responses have been translated from Russian), who thoroughly researched the life of the musical master. Why is Tchaikovsky such a compelling figure for you? I became interested in the work of Tchaikovsky when I was a child. His compositions were the first music I had heard. And the first ballet performance that I had seen was Swan Lake. The strongest internal shock that I experienced on this show probably determined my entire future destiny, pushed me to connect my subsequent life to the theater. The emotional and spiritual element of Tchaikovsky’s works fed me for years. In his works the doomness and the enthusiasm, the solemnity and the subtle lyricism are wonderfully intertwined. Listening to the works of Tchaikovsky, I consistently asked myself the question: Why was such tragic music written by the composer who achieved fame and recognition during his lifetime, was adored by fans, and appreciated by the authorities? The desire to find an answer to it prompted me to compose the ballet Tchaikovsky in 1993. And 23 years later I again turned to the personality of the composer and created virtually a new ballet, Tchaikovsky. PRO et CONTRA, in which the same problems got more serious interpretation. In these works the inner torments of the creator, the consequences of his fatal internal split, are examined. What were his creative struggles like? What kind of torment did he suffer from? Fate gave Tchaikovsky an extremely fine psyche and incredible sensitivity. In addition, he was a very religious person who considered his [homosexuality] to be a curse, a manifestation of sinfulness. His whole life was a painful [back and forth] between the light, to which the composer so strived, and the call of carnal passions, perceived by him as diabolical temptation. Tchaikovsky persistently tried to deceive his own essence and become like everyone else. He wanted to create a family and even married his admirer Antonina Milyukova, although he did not love and could not love her. This marriage quickly turned into a real nightmare for the composer. In a letter to his patron Nadezhda von Meck, he bluntly admitted that he hated his wife. As a result, the marriage fell apart, not bringing Tchaikovsky anything except the next torment and remorse. The conflict, which did not stop in the soul of the composer, determined the confessional sound of Tchaikovsky’s music. Which musical arrangements will we hear in this program? I never use ready-made scores in performances. This step would be too simple, and that is why it is not interesting for me. In Tchaikovsky. PRO et CONTRA, the ballet music of Tchaikovsky does not sound. The audience will hear the symphonies No. 5 and 6, the Serenade for Strings, the Capriccio Italien. I would like to emphasize separately the Pathétique (No. 6) symphony used in the ballet. From my point of view, this work is nothing more than the quintessence of the world’s grief, the composer’s requiem for himself. 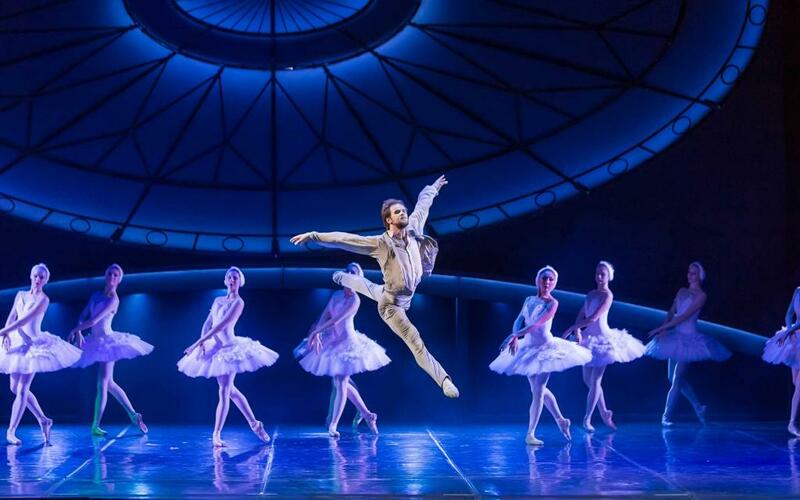 Which ballet characters will we see? 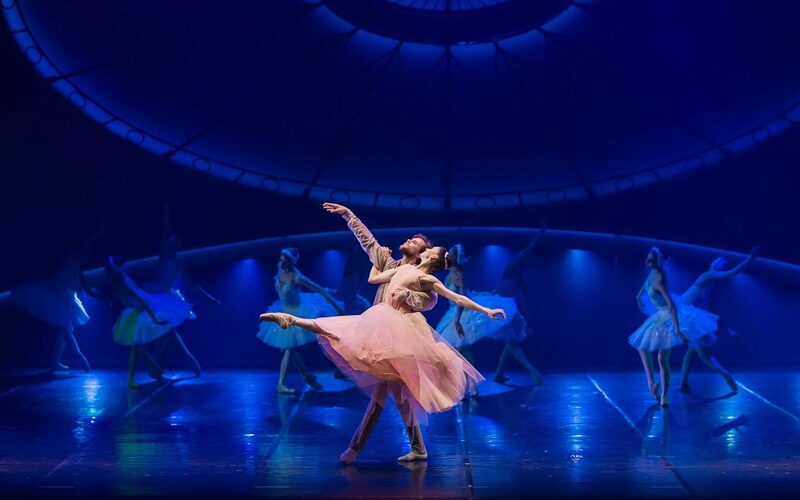 The characters of The Nutcracker and Swan Lake (Drosselmeyer, Prince, Masha, Rothbart) as well as characters from the operas Eugene Onegin and The Queen of Spades will appear on the stage. Tchaikovsky. PRO et CONTRA is an immersion not only into the personal dramas and feelings of the composer (which were present in the 1993 ballet), but also into his artistic world. The conductor in this creative sphere is the Double, Tchaikovsky’s alter ego. He turns into a demon tempting the composer, then his protector, the guardian angel. RELATED: These ‘Lost’ Ballets Are Being Performed for the First Time in L.A.
Can you give us a peek into the making of the ballet? Everything that happens behind the threshold of the ballet hall is very difficult, or rather almost impossible, to describe in words. When you begin to compose choreography and work with dancers, you surrender to the power of the ancient sensory reflexes that have come to us from many generations of ancestors. How exactly dance, plastic images, is born, I do not know. This is magic, shamanism, over which language and rational laws do not rule. Of course, music plays one of the key roles in this process: It gives me a creative impetus, provokes creativity. Therefore I always emphasize that a composer is not just an assistant to a choreographer but his coauthor. I work alone with musical material because this work requires maximum internal concentration. My dancers get acquainted with the finished score in the ballet hall, and they should not just listen to—but completely immerse themselves into—it. What resources did you use to research Tchaikovsky’s life? All research, preparatory work preceding the beginning of rehearsals, takes place in my office. I read letters, diaries, memoirs—and I simultaneously write in dozens of notebooks, where I put my thoughts on the future ballet. I know almost everything about the life and work of heroes of my ballets, certainly not less than professional historians and art critics. However, in the case of Tchaikovsky, the most valuable source for understanding the composer’s personality was not his documents but his own music. It was in it that he most fully and vividly expressed his spiritual tragedy. American Contemporary Ballet just presented a Tchaikovsky program, and now yours arrives for L.A. audiences. Why do you feel his work appeals to the general public? Genius supertemporal creations in all ages will excite people because any person tends, even unconsciously, to touch the great and eternal. Only in this way do we overcome our own imperfection and awaken in ourselves that part of the divine, which is inherent in each of us from birth. All photos courtesy Evgeny Matveev.